What’s so Great About Mobile Apps? In our Q&A, Ryan reveals some of the benefits of developing a mobile app in addition to a website. Be sure to catch our episode of Facebook Live with Kelly & Ryan and read on for some quick tips on developing your company’s new app! For our clients that have their own mobile apps for marketing, why are they in a perfect position to utilize them? For a larger client, like a master-planned community, there’s a lot going on, so a mobile app is great for centralizing that information. With multiple builders, neighborhoods, amenities, events, etc., the mobile app makes information on each of these points easily accessible in a format that is specifically developed for your mobile device. These clients also have a very large audience, so the mobile app gives them a hub to efficiently communicate and reach out to their following. Pulling up a website on your mobile browser may not have the same user-friendly feel. A lot of times your zooming in to read small print or to click on a certain tab. In an app, the mobile user experience is accounted for. What is the process for developing a mobile app? Particularly, how do you decide which features would be relevant for a client like a master-planned community? First you need to pinpoint your goals for the app. What is the benefit to your customers or potential customers? For our masterplan clients, they have a lot of info they want to share about builders, community events, local schools, etc., so those things are developed into their app. photos, and get updates about their community. This is a two-way benefit because users get info and the client gets contact info like an email address or phone number. 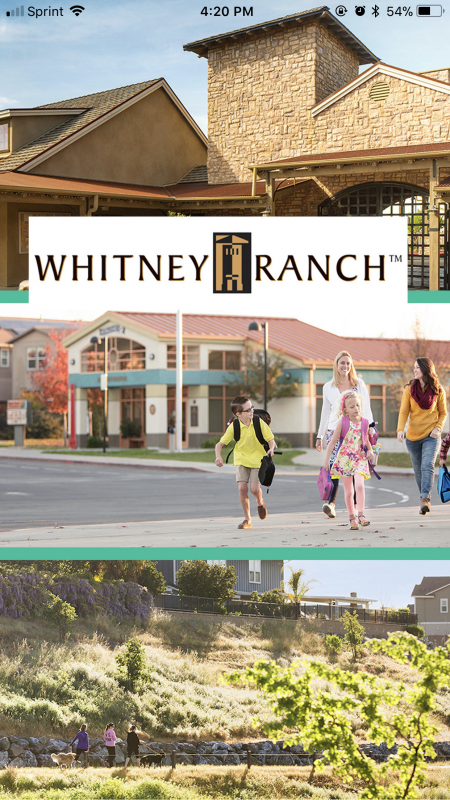 Walk us through some of the features of the mobile apps for our clients Whitney Ranch and Mountain House. One of our main objectives to make sure that all the builders are represented well within the app and to make sure the homes are described well. 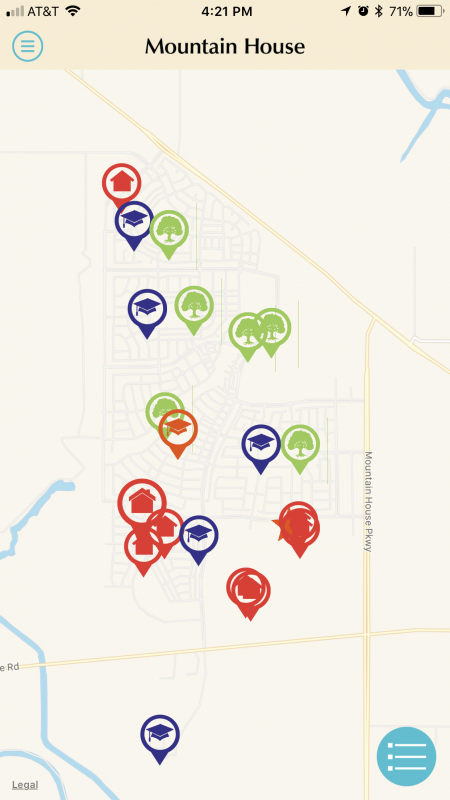 Users can read about all of this and get directions to each neighborhood’s Sales Center. We also wanted to include pertinent info about the community and location. Local schools, parks, and shopping are all points of interest for potential buyers, and navigating to these places is easy within the mobile app. These two clients are particularly focused on bringing the community together so users should get a good feel for the community through the app. Having access to the event calendar, info on clubs, and receiving push notifications are a crucial part of that. 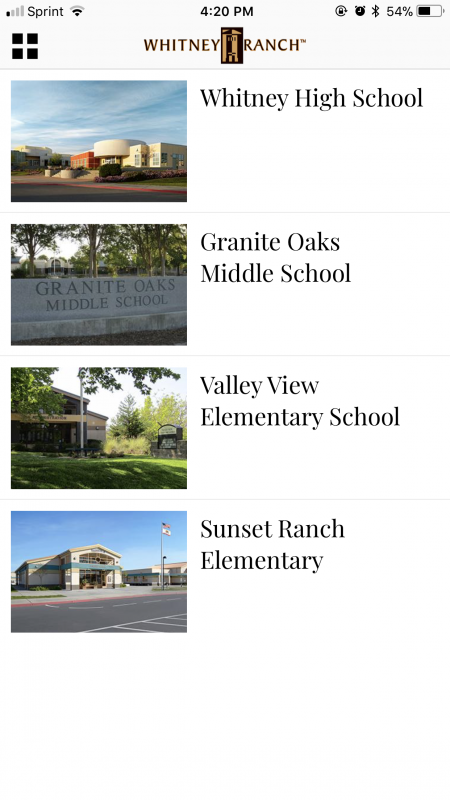 Community amenities and a detailed map are also features of both of these apps, as well as a platform for submitting photos that the client can then repurpose. What are the benefits of having a mobile app for your business? A mobile app is a more readily available interaction with your customers. In one place, you can communicate with the app users with updates and push notifications. Apps are also more personal because users have to download the app to their mobile device. They’ve decided that they want that space on their phone! For those who have downloaded the app, the client now has that person’s email info and phone number. Do you have any do’s and don’ts for businesses considering developing a mobile app? Do pinpoint the needs and goals of the app. Don’t make your app a copy of your website. Apple also has its own rules on this regarding publishing apps. Decide which features will be most relevant for users. Have patience when developing the app, it’s a process, especially when getting published to an app store. What are your favorite mobile apps that you’re using and why? I’ve been using the Hamilton app! Every day I enter their contest to try and win tickets! And now that I’ve told you this, if you go on and win, just know there are two tickets so hopefully you’ll want to take me! 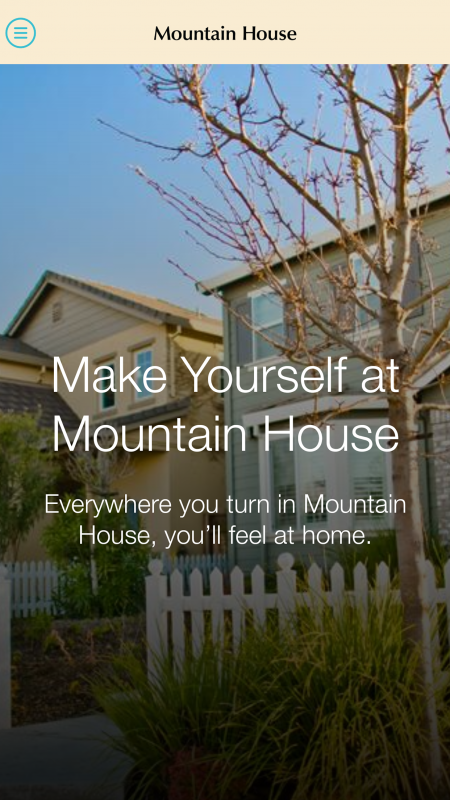 Don't forget to go and download the Mountain House and Whitney Ranch mobile apps to try them out for yourself! 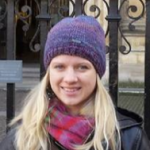 Sara Schacht is a Digital Copywriter at Get Community. As a former gymnast, she loves to coach competitive gymnastics on the side!